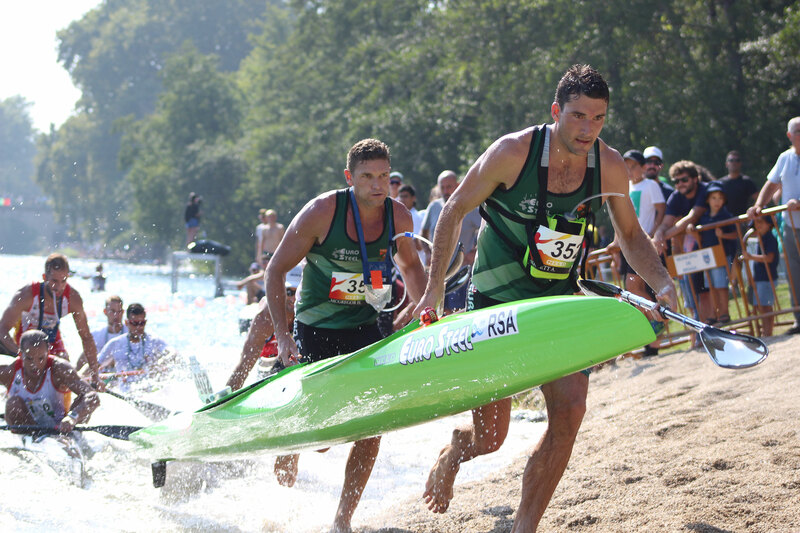 Andy Birkett and Hank McGregor powered to to the Men's K2 world title in the final event of the ICF Canoe Marathon World Championships in Prado Vila Verde in Portugal to hand Birkett the elusive double and secure an eleventh world title for McGregor. 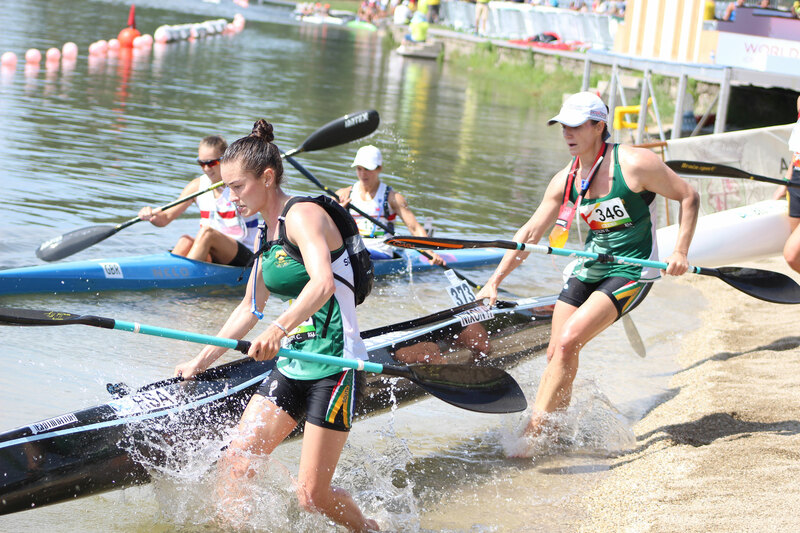 South Africa was named as the winner in the overall team kayak rankings at the end of the four days of competition. 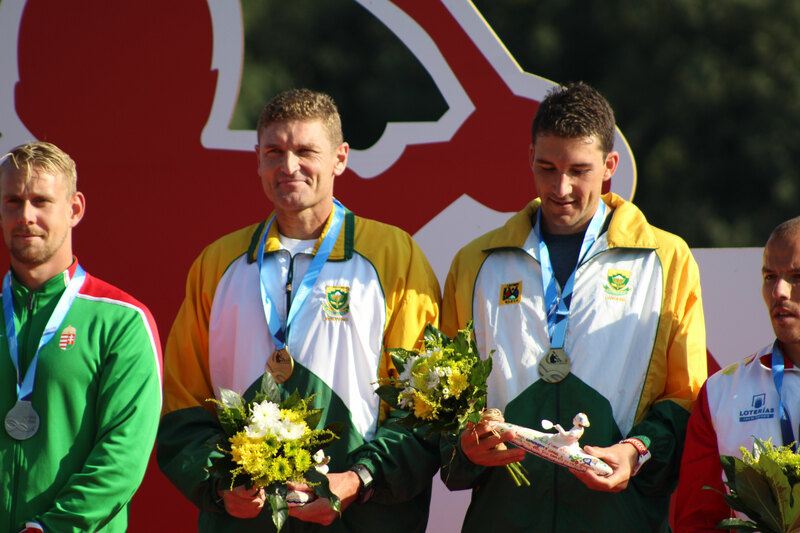 The Durban-based duo of McGregor and Bikrett were always in control of the fast paced, eight lap, 30km race on the Cavada River and led the seven boat front bunch into the last portage, and throttled away on the final 1000 metre lap to claim the gold medal, holding off Hungarians Adrián Boros and László Solti. The pair surprised many by opting to race Birkett in the front of the kayak, leaving McGregor to provide the power from the back cockpit and to use his tactical acumen to advise Birkett on the ferocious dynamics at play in the front group. They managed to stay clear of the jostling that characterised the race, conserving their energy and only asserting themselves when it counted. Birkett, who won the K1 gold medal the day before admitted that he was worried about his stamina when fatigue hit him early on in the race. "On lap two I said to Hank I need to jump off and have a sleep, I was pretty broken," said Birkett. "But that is where team work really makes a difference and Hank just took up the slack. "It is really reassuring having someone like Hank in the back, giving me tips and having my back when the other guys are coming up," said Birkett. An elated McGregor heaped praised on Birkett, and said that he might rethink his retirement from K1 racing after watching the singles duel from the commentary box. "Never say never," he said ominously. After a very encouraging start the Cape pairing of Stu MacLaren and Kenny Rice were shrugged off the front bunch in a momentary lack of concentration but went on to finish tenth overall. 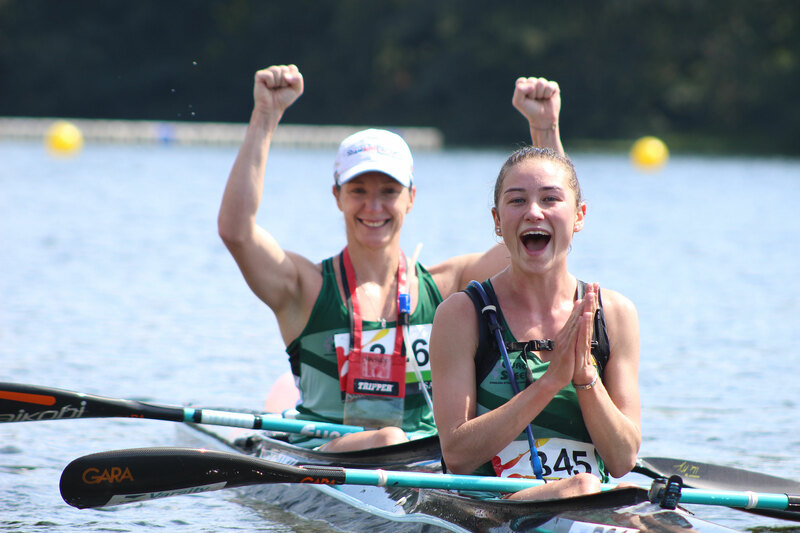 In the Women's K2 race the South African crew of Hayley Nixon and Christie Mackenzie fought gallantly for the minor places on the podium after the race for the 2018 world title was settled. Their race came down to a sprint to the line with the Spanish crew of Tania Alvarez and Tania Fernandez, which they lost in the dying seconds of the race, leaving them in fourth place. The other South African crew of Bridgitte Hartley and Melissa Van Rooyen finished in tenth position. The Women's K2 title fell to the juggernaut Hungarian crew of Renata Csay and her young partner Zsofia Czellai-Voros, giving the Hungarian legend Csay her 19th world championship gold medal. The event has been a successful one for the large South African team contesting the event. They had four medals, Andy Birkett's K1 gold and three bronze medals, going into the final day, to go with the haul of 24 medals from the Masters Cup races.